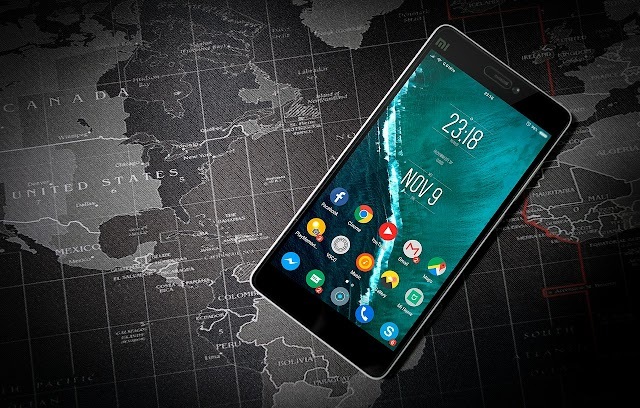 Your Android Smartphone may become your perfect driving partner if you install some good driving apps. 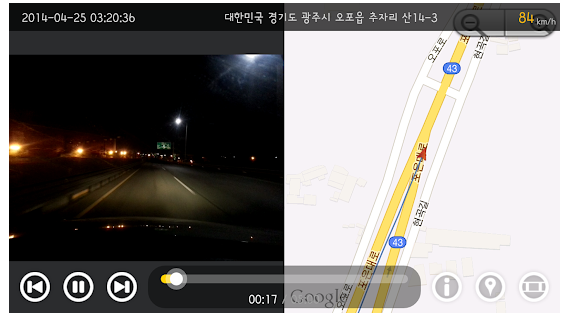 There are many apps helps you while driving or traveling. 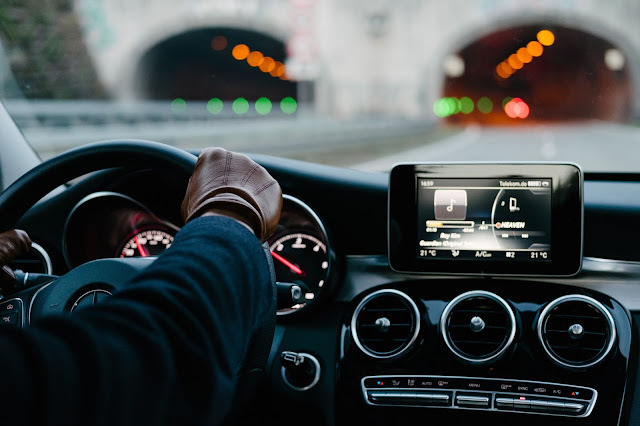 Some may show you the proper road map, some may record your driving memories, some give you information about car parking and some may provide you the weather conditions. So, let's find some necessary apps which may help while driving. 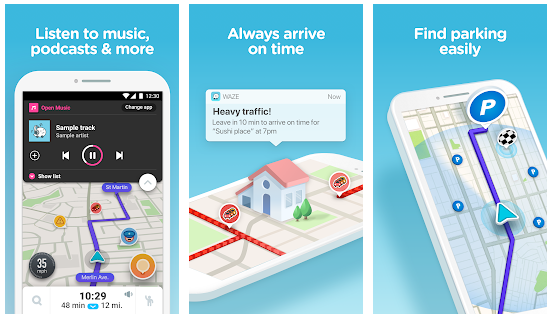 This app tells you what is happening in your way of traveling. It tells the traffic condition, construction information etc., in real time. It the traffic condition is not proper it suggests the best choice of the rout and save your lots of time. It also helps you to park your vehicle. You may also play your favorite apps to play music, podcasts & more. You can also choose from a variety of voice to guide you. If your phone battery has enough backup, then this camera app will record background continuously. So you can record your total journey. you may enjoy your memories of the journey. Even this recording may become important evidence if necessary. This application Give you different screen mode to record. It supports nine languages. You may change the background easily. And also includes all the camera features like zoom, focus, flash etc. Perhaps it is one of the best application to find parking easy. Find parking location from anywhere and any time. It includes more than 20,000 reservable parking locations. It also provides information on availability, restrictions, and directions. 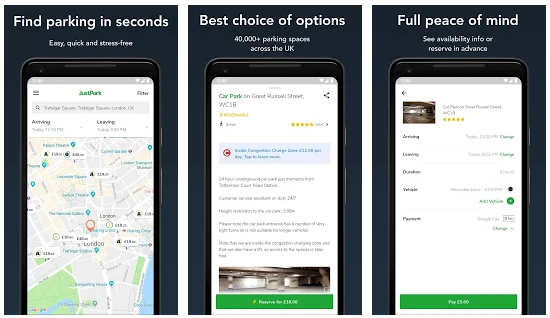 You can reserve and pay for parking via this app quick and easy. Nice app to find weather information. You may schedule your travel plan by finding hourly, daily or weekly weather updates. 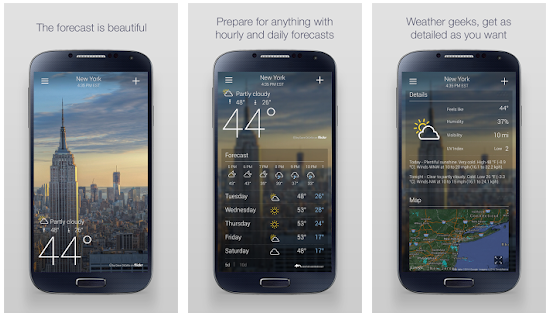 It provides weather updates with beautiful Flickr photos match your location, time of day, and current conditions. It also gives you animated sunrise, sunset, wind, and pressure modules. Locate Airport, ATM, Bank, Bar, Cafe, Hospital, Gas Station and many more important places near you. 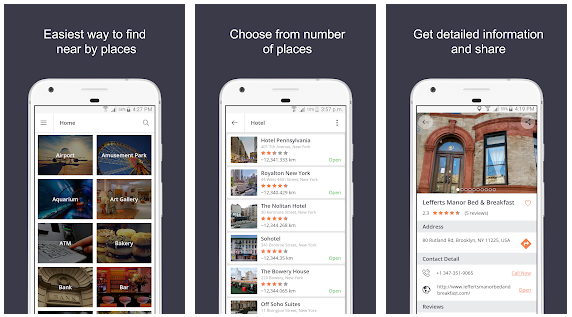 You may need to find an essential place near you, then this app will serve as a guide. It will provide a list of places around you within a certain radius. It will display the address, contact detail, open hours, etc., necessary information.